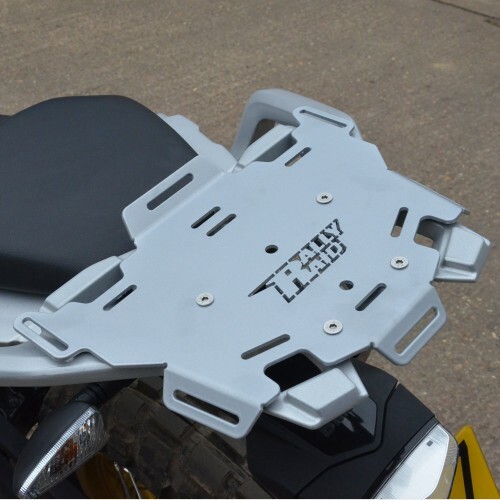 Laser cut from 3mm aluminium, and powder coated satin black or silver, this rear rack offers an amount of extra luggage space to the rear in a slim, low package. 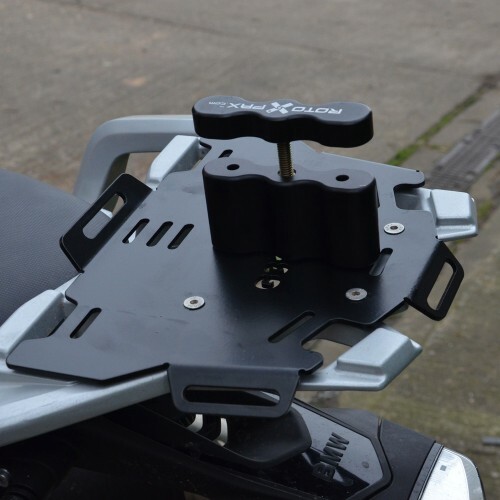 Designed primarily to work with our Soft Luggage Racks, it can be used on its own as it is fixed to the OEM cast rear rack support by 4 off M6 screws (supplied). 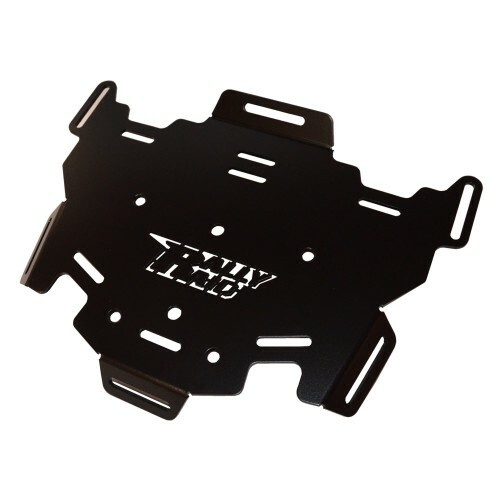 It is specifically designed to accept the Giant Loop Klamath Tail Pack, ideal for storing easy accessible items. 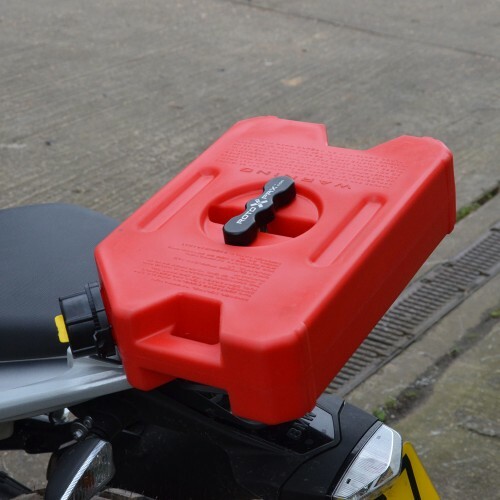 Also included are the fixing holes to accept the mountings for 1 gallon (4,5 litre) Rotopax fuel or water containers (RRP204/205), ideal for long trips. It is not designed to mount a top box on. Complete with all fixing screws.